Are You Trying To Figure Out What To Make For Dinner Tonight? It can be hard to find the time to make a homemade meal while juggling work, taking care of the kids, homework help, and family activities. It's also hard to answer the perpetual question of What's For Dinner? I believe that You can Make Dinner Easy if you have easy dinner recipes, have weekly dinner menus planned out, and have the necessary ingredients on hand. Let me help you get dinner on the table! I’m the mom of four busy kids. Over the years, I've gathered easy to make, family friendly recipes and have also gathered a lot of strategies to make and prep meals ahead of time so I can make homemade dinners easily for my family. For years my friends offered to hire me to cook for them but to be honest I'm too busy at dinnertime myself. So, instead I started sharing my weekly menu plans with friends and it's really taken off. Now, over 2,000 people a day access this site from around the world and over 13,000 subscribe to my weekly newsletter so that they know when the new menus are posted. 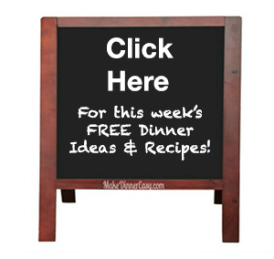 Each week I share five free simple weekly dinner menus, quick-easy dinner recipes, and an organized free printable grocery list. If you never know what to make for dinner, these weekly ideas may be the answer to making easy homemade meals. Each weekly dinner menu includes family friendly dinner recipes that are quick and easy to make. I try to include fresh fruits and vegetables and a minimum of processed ingredients. I also try to incorporate recipes into my menus that fit with seasonal, holiday, or religious observations. If you want to browse around this site, you will find over 300 family friendly recipes, cooking tips, and product recommendations. I frequently post new recipes, product reviews, giveaways, and cooking tips on my Easy Dinner Blog. Click on the navigation bars under the "Getting Started" Section at the top left corner of this page to access the blog, the menus for this week, and info on how to subscribe to my free weekly newsletter! I also have a great community on Facebook and other Social channels, hope you'll join me as I share recipes and fun cooking ideas! This is Similar to a Subscription Dinner Planning Service, Except That It's Free! There are a lot of similar services that charge a weekly subscription fee. I'll let you in on a secret, I don't! Here you will find free menu plans, much like those offered by those subscription dinner planning sites but I've found ways to keep it free for my viewers. If you really like that idea, you can help me keep it free by spreading the word to your friends and co-workers! Need a new dinner idea? 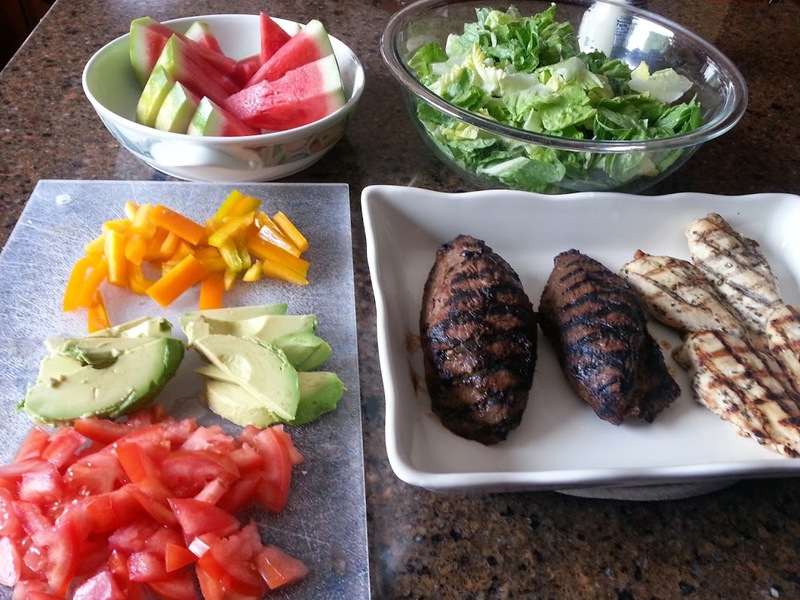 Click on any of these these photos to see the quick-easy dinner recipes under each category! These are just some of the recipe categories on this site, you can find the rest by clicking the navigation bars to the left. please click here to subscribe for free. I post new menus every week by Saturday on my Dinner Menus Page and by subscribing you not only receive notification that the new menus are posted but you will also receive bonus or preview recipes that you and your family will love. Over 13,000 people subscribe to this newsletter and I constantly receive feedback that my readers find it helpful to receive. Need a Really Easy Recipe? These are some of the easiest!